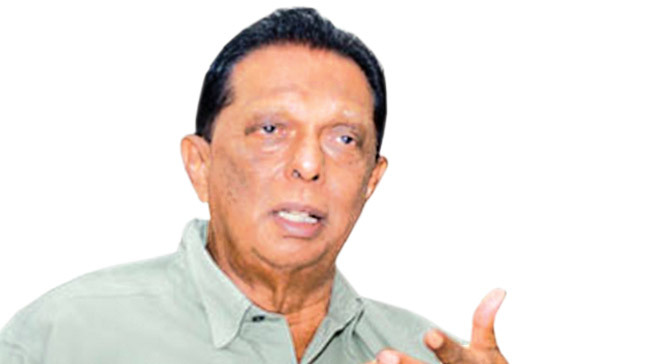 Tourism Development and Christian Religious Affairs and Lands Minister John Amarathunga managed to lay the foundation stone for a proposed new Tamil medium school yesterday at Oliyamulla, Wattala amidst a protest launched by residents of the area. When the minister reached the Nawaloka Uddiyanapuraarea at Oliyamulla to lay the foundation stone for the proposed Tamil medium school yesterday some residents protested. They alleged that the land on which the proposed school is going to be constructed, was allocated for the construction a playground. The protesters hooted at the minister and shouted that they wanted a playground instead of the school. However, the minister managed to lay the foundation stone as scheduled for the new school building. After laying the foundation stone, Minister Amarathunga addressing the gathering said that he will stand for the construction of both the school and the playground. Accordingly, the proposed schools will be constructed on a part of the land while the playground will be constructed on the other portion of the land. A spokesman of the minister said that those persons, who launched the protest against the minister did so for perry political gains. “Moreover, it is unethical to bring politics to schools since schools should be free of politics,” he said. Before you lay the foundation stone for the Tamil medium school at oliyamulla Mr.Minister did u compensate those people living in that area who lost Their belongings during the recent floods.First compensate and then do the rest.